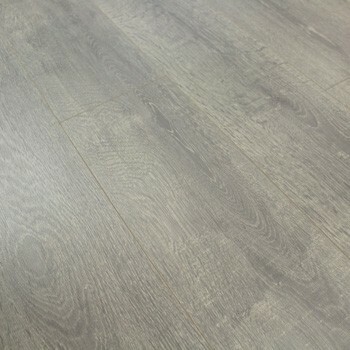 Laminate flooring has been around for decades but growth has significantly risen recently thanks to improved design processes and cheaper manufacturing costs. 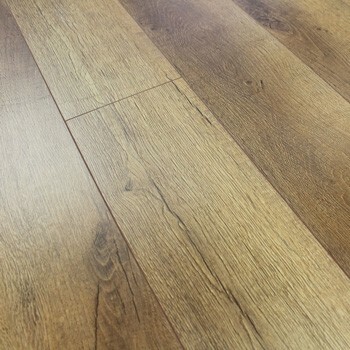 Laminate floors are a great cost-effective alternative to more expensive flooring options such as solid wood and engineered wood and are available in a wide range of colours, thicknesses and styles. You can be sure you''ll find something in our huge range that will look perfect in your home. A synthetic floor covering made up of many different layers. This type of flooring is made to simulate wood, stone or tiles by using a high resolution photograph under a transparent protective surface layer. A High Density Fibreboard (HDF) core sits beneath the photographic layer to form the main composition of each board and is extremely stable. A final balancing layer is added to the base of each plank which guarantees the boards will not cup or bow when installed. 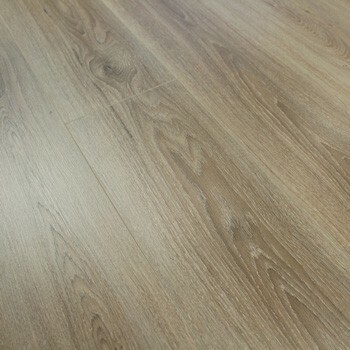 For more information about laminate floors, you may find the following article interesting: What is the difference between laminate flooring and hardwood flooring? 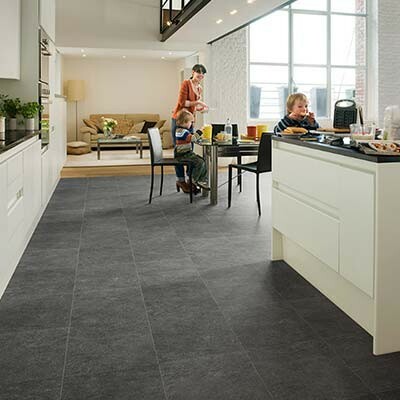 It is a great choice if you are looking for a cost effective, durable floor which can be installed quickly and easily. 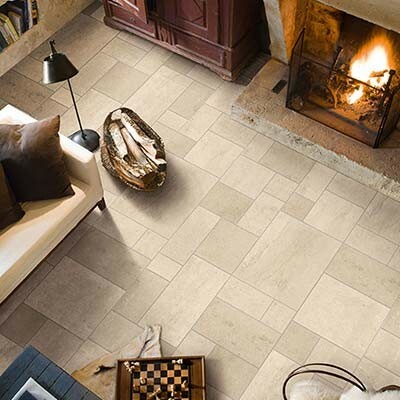 The range includes wood, tile and stone designs, available in various different colours and patterns, which are sure to complement any modern or traditional space. 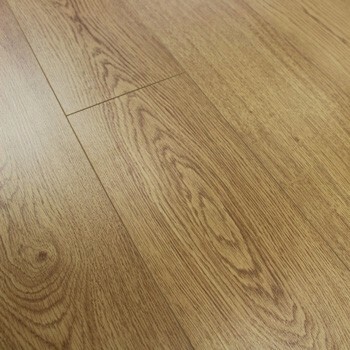 All of our laminate floors are all suitable to be used with underfloor heating. The surface layer has a scratch guard added to offer extra protection from unwanted damage, dents and scratches. Laminate floors require minimal maintenance and hygienically it makes a great alternative to carpet. 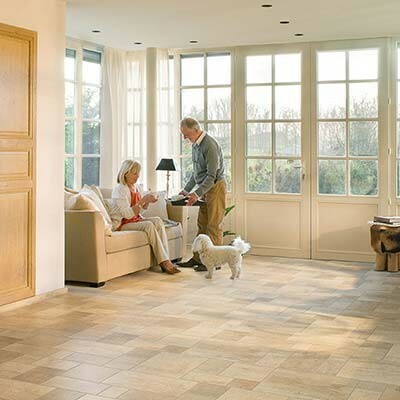 Read our Flooring Care and Maintenance Guide for tips and advice on looking after your floor. 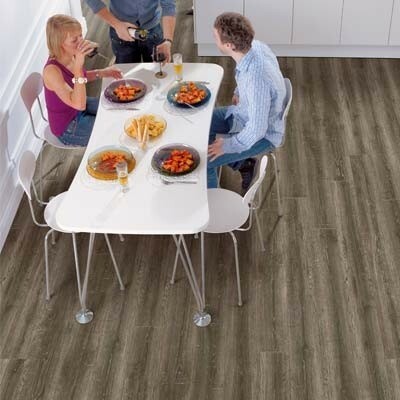 The majority of laminate floors are not waterproof but we do have a few options available with a waterproof warranty (Hydroseal) allowing you to use them in areas such as kitchens, bathrooms and utility rooms. 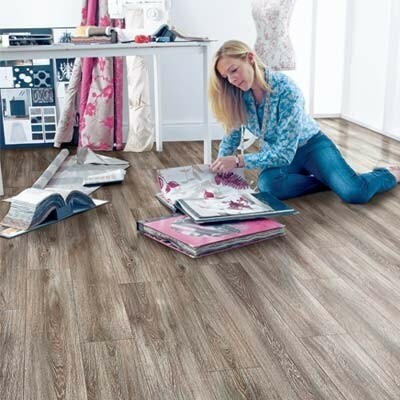 Installation is quick and easy as it has a patented Uniclic system which provides straight forward fitting and gives a seamless, gap free floor without the need for glue, screws or nails - making It a great option for any DIY project. 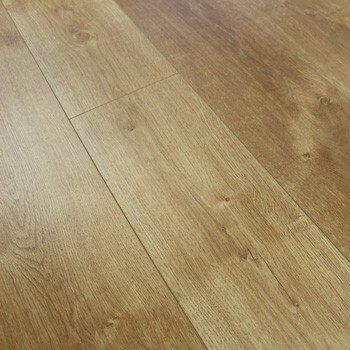 Yes, we have a wide range of alternatives including: solid wood flooring, engineered wood flooring and vinyl flooring. 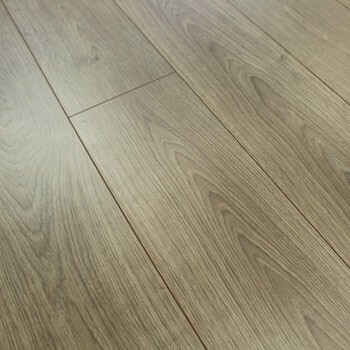 If you have any questions or would like any further help and advice on laminate flooring then please contact us or come into our showroom where we will be happy to help.